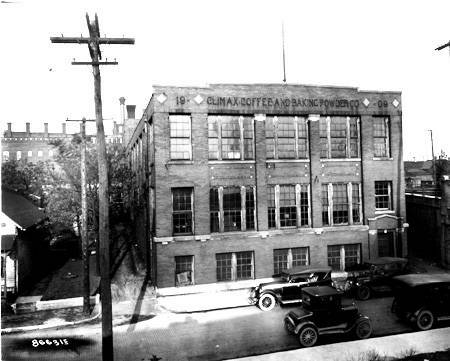 The Climax Coffee and Baking Powder Building at 31-37 South Davidson Street, as it appeared in 1924. 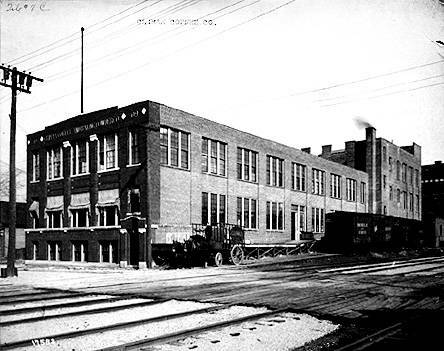 Industrialists settling Indianapolis in the early twentieth century built their factories as closely as possible to the new railroads coursing the city. Most of those buildings, of course, are long gone, and in some cases, even the ground on which they stood seems to have disappeared; progress had a way of brushing it off the beaten path. 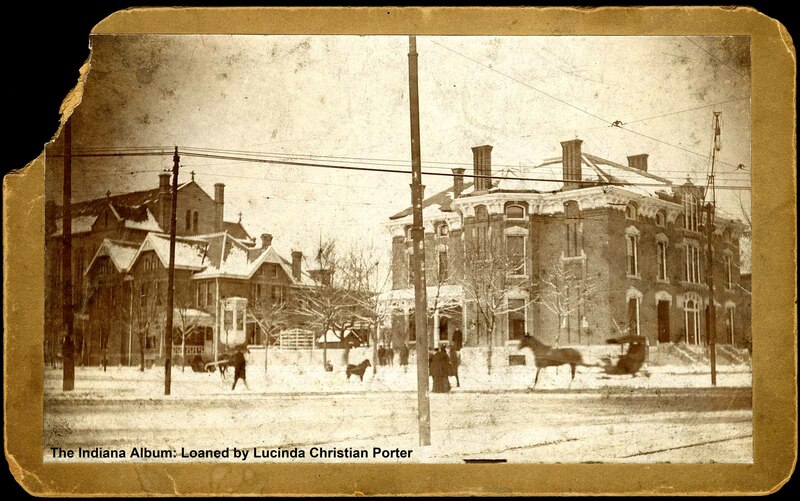 One example of such a piece of property was the Climax Coffee and Baking Powder Company. In 1901, H.B. Gates gathered his new stockholders together for a meeting at the Columbia Club. Armed with paid-up capital of $100,000, they were ready to elect officers and organize the new venture. 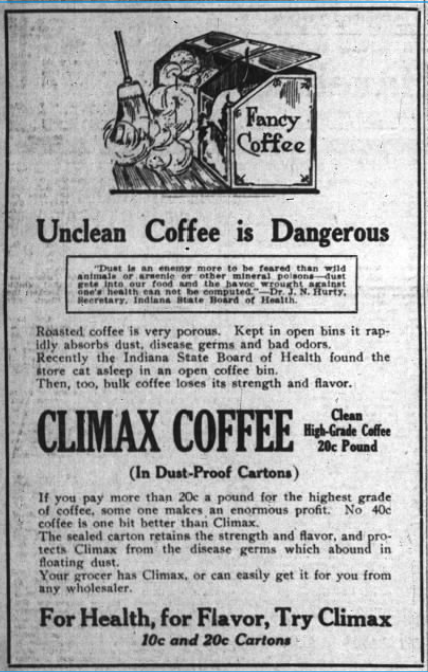 Newspaper advertisement for Climax Coffee promoting the benefits of buying coffee in “Dust-proof Cartons.” Source: The Indianapolis News, June 3, 1909. Coffee promotions also landed the company in the proverbial hot water. 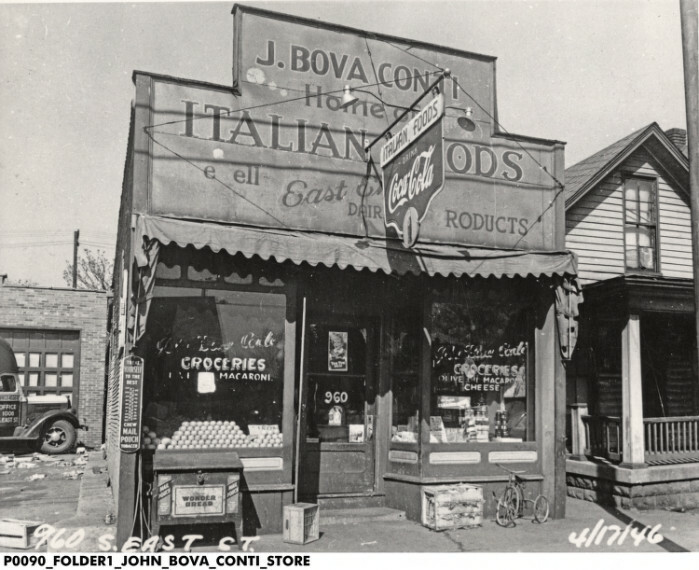 Climax was once “cited to appear” before the Attorney General for violating postal regulations by offering prizes to customers in a way the post office regarded as a lottery business. Company president Gates eventually succeeded in defending Climax in all of the allegations, suggesting the investigation into his company was instigated by competitors not offering prizes. 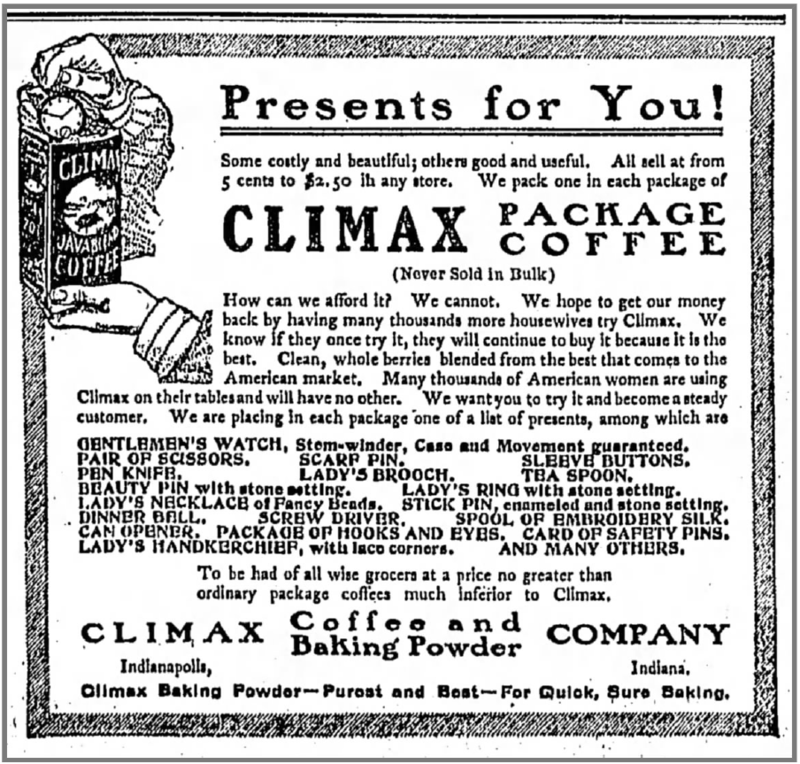 Newspaper advertisement for Climax Coffee promising a free gift in every package. Source: The Indianapolis Star, August 14, 1905. 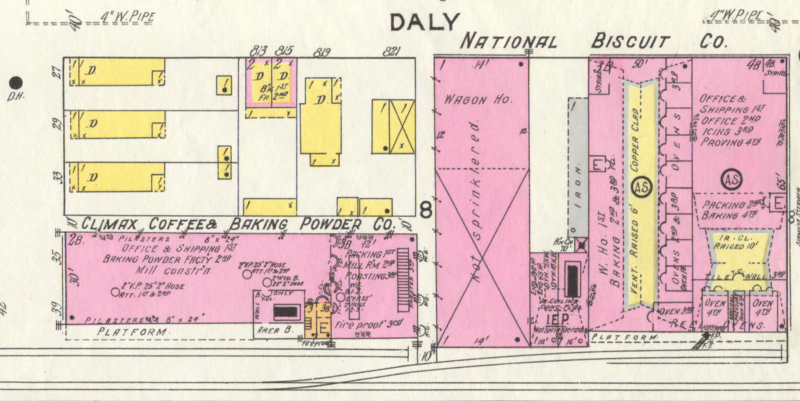 The Whitaker Paper Company moved into the “old” Climax Coffee and Baking Powder location on Washington Street, and by 1927, Baist Atlas Plan Maps showed the building as a fire ruins. 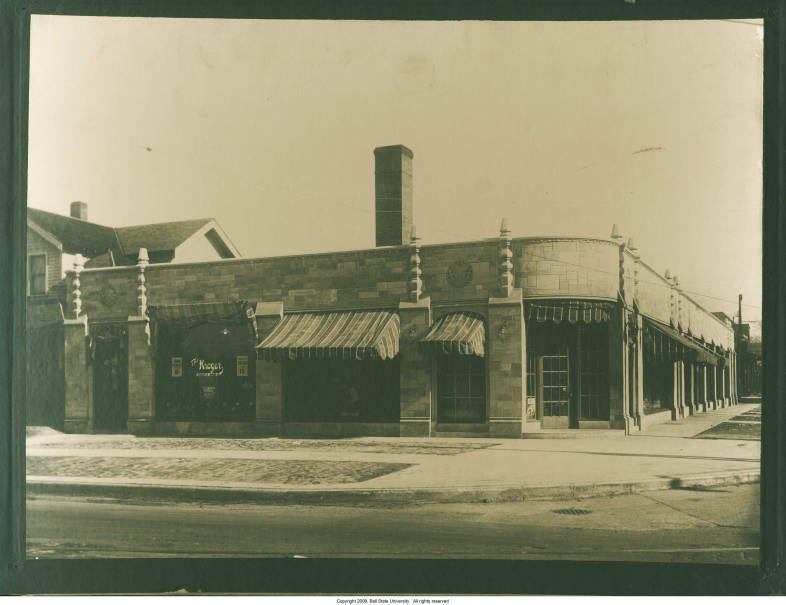 When the new Climax Coffee plant at 31-37 S. Davidson was completed in 1909, Harry Gates led about 100 wholesale grocers from six states on a tour and inspection of the state-of-the-art facility. But ultimately, the Climax Company struggled to remain competitive or stay ahead of the curve. 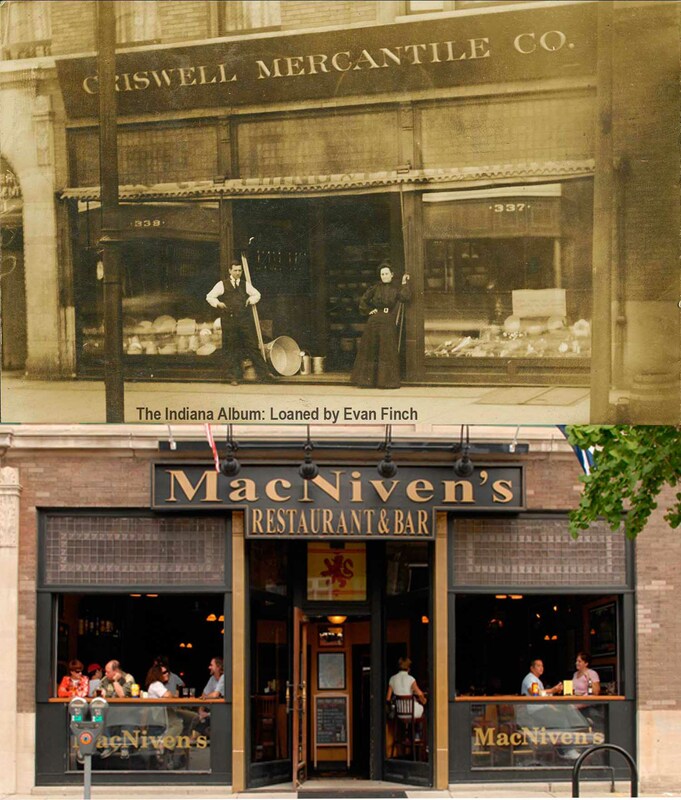 In March 1925, the expanding National Biscuit Company, Climax Company’s behemoth neighbor to the east, bought the entire city block bounded by Pine, Davidson and Daly Streets, and the Pennsylvania Railroad tracks to the south. The property included the former Climax Coffee plant, which National Biscuit Company took over and operated for another ten years as the Fairway Coffee Company. 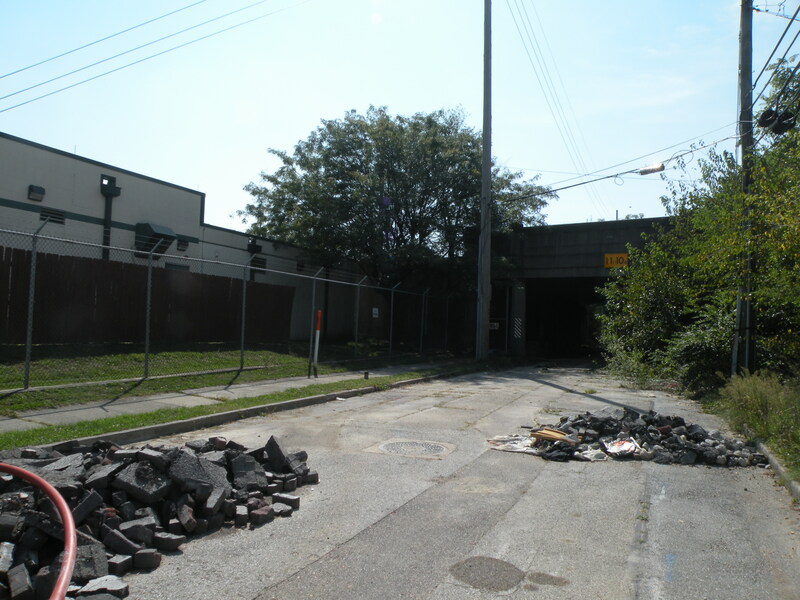 Today, the area along the south side of the 800 block of E. Washington Street, bounded by Davidson to the west, Pine to the east, and the railroad tracks to the south, is home to Interstate 65 and its entrance and exit ramps at Washington Street. Davidson is closed temporarily for development and construction of housing just south of the tracks and west of Davidson. Only a small, fenced-in service building, used most recently by Sprint, remains on the site of the Climax building, where the old coffee company and the grounds beneath it are now barely imaginable.